I spoke to Adriane via email after a brief exchange on Twitter. We talked about warmth in electronic music, about the false dichotomy between acoustic and electronic, and about the idea of pop music’s possible futures. The Delete Bin: “So Beautiful” is a wonderfully warm track, full of subtle texture, with human voices that seems to reference choral music blending in and contrasting with beats and electronics. How important was this sense of contrast to you when you laid down this track? 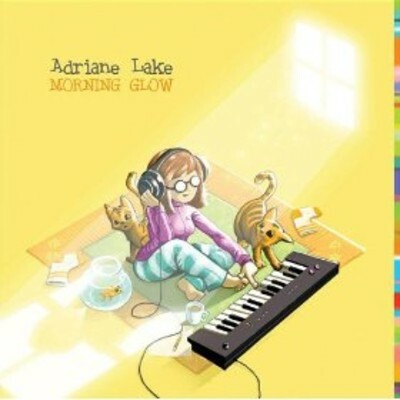 Adriane Lake: Contrast is definitely a useful way to play with the energy of a track. For years I actually struggled with arrangement until I learned more about this. As luck would have it, I had the pleasure of spending time with a very accomplished choral director, listening to him break down music as he would teach it to our ensemble. It shed a lot of light on how to use contrast and repetition in a piece. That’s probably where some of the choral influence comes from. For contrast I also really love putting acoustics with electronics. It’s like the yin and the yang, two more or less opposite things coming together. DB: I hear a lot of pop music influence in what you’re doing, which is what caught my attention on this track. When you’re writing, texture and polyrhythms are clearly important to what you end up achieving. But, how important is “the hook” to you? AL: I don’t often sit down and think “Hey, let’s write a killer hook!”. But I do have a few little guidelines I like to follow. Like for example, if I am writing something and I really can’t remember it later — it probably wasn’t all that sticky. So I would say that I pay some attention, but I personally don’t feel the hook is the be-all-and-end all of every musical style. Ambient drone music, for example, usually gets by fabulously without any kind of hook. One thing I do really care for a lot is when a lyric feels good in your mouth. If it doesn’t feel good in your own mouth, it’s not going to feel great for someone singing along. Singability is definitely high on my radar. DB: With the advent of treated sounds as taken from instruments played live, a musician like yourself can expand the possibilities of traditional pop instrumentation. As such, do you think the dichotomy between traditional pop instrumentation and electronic music is a a false one? 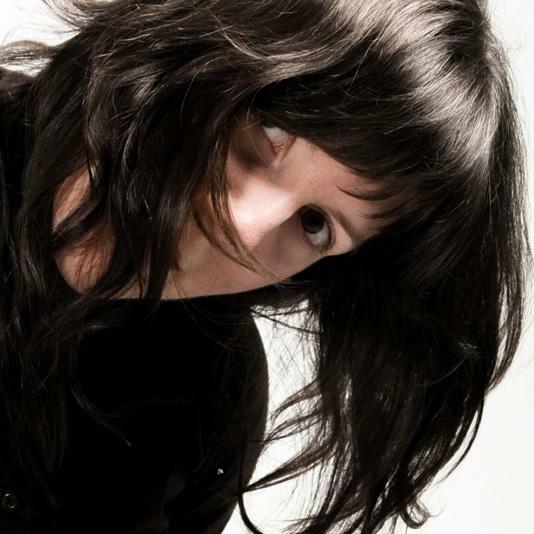 AL: I think the lines between traditional pop, rock and electronica instrumentation are definitely blurring. I hear many hit pop songs onthe radio that are basically all synth and sample based, but produced with a slightly more pop aesthetic than say, underground electronica. We like to put those in different categories because they sound a bit different. But, as far as the production and noisemaking tools go –they are essentially the same! For rock music the lines are a bit clearer, but even a modern rock guitar gets most of its tone from the electronics situated outside the guitar body itself. I sometimes hear people tell me they don’t care for electronica, and I often sense that they are reluctant to accept those tools as being valid. What they don’t realize, of course, is that very little music nowadays is produced without very extensive use of electronics . The main difference of course is that electronica openly celebrates the tools themselves. DB: What are your goals are when you approach re-mixing someone’s work? AL: You know I think about this a lot. I think most simply put, it’sto bring something of the remixer’s sound to a track while still keeping some of the spirit of the original. It’s a fine line though. If you keep too much of that spirit, it may not be as interesting as thoroughly expanding on the original idea in your own way. On the other hand, if the track was absolutely brilliant to begin with — you are going to have a really tough time improving on it! Still, I’d say that’s a great problem to have. DB: Community is an important concept to indie musicians, whether it’s with other musicians, with fans, or both. How has a sense of community with other musicians and producers added to your own work? AL: I don’t even know if I can quite put it into words! Even though I often work alone, connection with other musicians and producers hasbeen instrumental to what I’ve done. Whether it’s getting the feedback of followers on Twitter, performing with a groups, or consulting with other producers — these have all had a significant amount of impact on me. For example, there are steps in the process where you just need toknow what people think. Getting someone you trust to take a critical listen to your work is incredibly helpful. It massively expedites the process of editing and mixing when your ears may already be dulled to a track you’ve heard a zillion times. There’s nothing like fresh ears, and sadly if you are the writer/producer, you will never ever havethem for that track! Part of the magic of course comes when you stop caring a bit what people think. I’ve noticed however, the less I care, the more I ask –because I don’t feel rejected if they hate it. DB: The cover of the Morning Glow album is telling of your approach, perhaps; a picture of someone making music on their own in the comfort of home. What are the benefits and drawbacks for you personally of creating music off on your own without immediate collaborators? AL: There are definite practical benefits to having a capable home project studio to tinker in. It gives you independence and the experiments are basically free — nobody is charging you by the hour.You can also stay up all night long, bake cookies while you work, or start sketching out an idea on a dime. Of course, there are some not-insignificant drawbacks. It’s quite easy to get isolated and start to lose context a bit. If you are not getting out in the world much, then your writing ideas that are at risk of mainly coming from your internal life instead of being affected by the world at large. And of course, loneliness; that is a definite downside. DB: You’re most recent project was scoring a video game for PS3. How did that come about? AL: Some pals needed some sound design done in a hurry. I threw together some stuff for them, and they ended up liking it so much that they invited me to do the whole job! It was a wonderful experience. For example, doing the sound design on top of the score actually helped me learn how to get sonic ideas across in a very narrow time span. In a 5-minute piece you can meander like crazy, but a tiny sound effect cue has to get right to the point. DB: A project like that could be looked upon as an unexplored avenue by a lot of musicians who are otherwise seeking to be signed. Even now, how does this goal of getting signed divert artists like yourself from being more creative when it come to getting their music heard? AL: That is a good question. To be honest, not every artist tells me their highest dream is to get signed to a label anymore. Getting signed often represents a window to selling a profitable number of albums, but that goal is becoming increasingly hard to reach in thedigital age. It used to be that absolutely everyone wanted to get signed. Now, I also hear more talk of working with interesting managers or agents who can help them access audiences in unconventional ways. With the record industry undergoing a sea change as we speak, I’m not sure that artists are very clear on the role that various institutions are meant to play in the future. I’m not even sure the labels themselvesreally know. Of course, if you want to be a top 40 hit pop star — if you want to bethe next Lady Gaga — then you are probably going to need one of the majors raining money on your project like it’s going out of style. Personally, having done a whole lot of DIY everything in the last years, I’m really warming up to the idea of labels, publishers and managers. Go figure. One can only work alone for so long! You can learn more, and hear more music, by checking out the Adriane Lake Official Website. For you Twitterbugs, you can follow Adriane Lake on Twitter for real-time updates. Great interview! My favorite track is Jacques Cousteau, because it makes me feel like I walking around on a wobbly pirate ship!